& visited Jude Hill over at Spirit Cloth to find her dancing with leaves too! 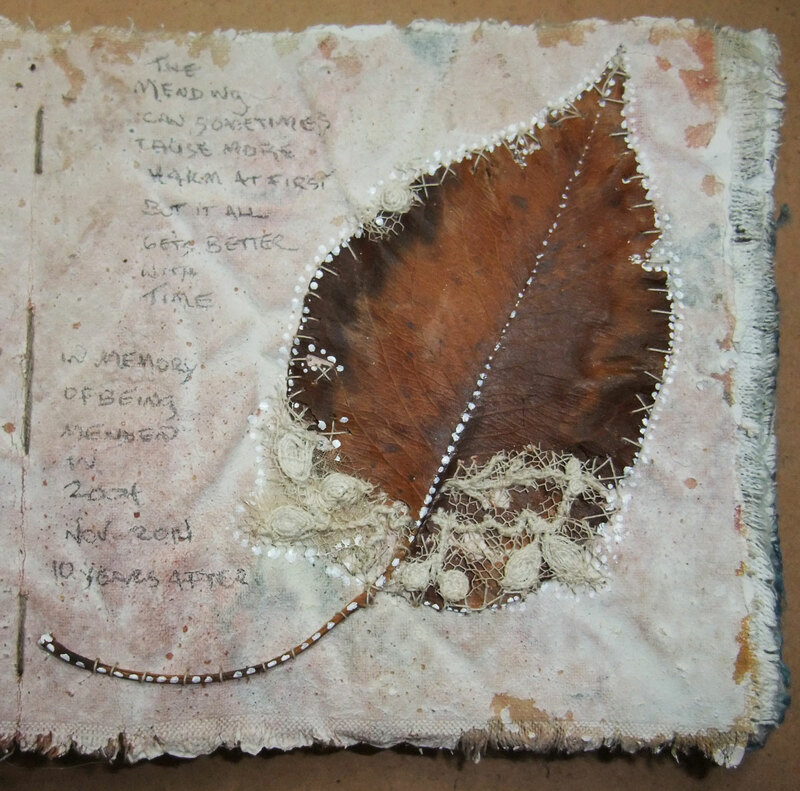 I am loving your leaf dance, Christine at http://christinemauersberger.com/ has been stitching with leaves, it must be the time of year, well for us in the north anyway. Hi Saskia, the lace almost worked but now that I added the white dots ’tis done, I love this little book so much! 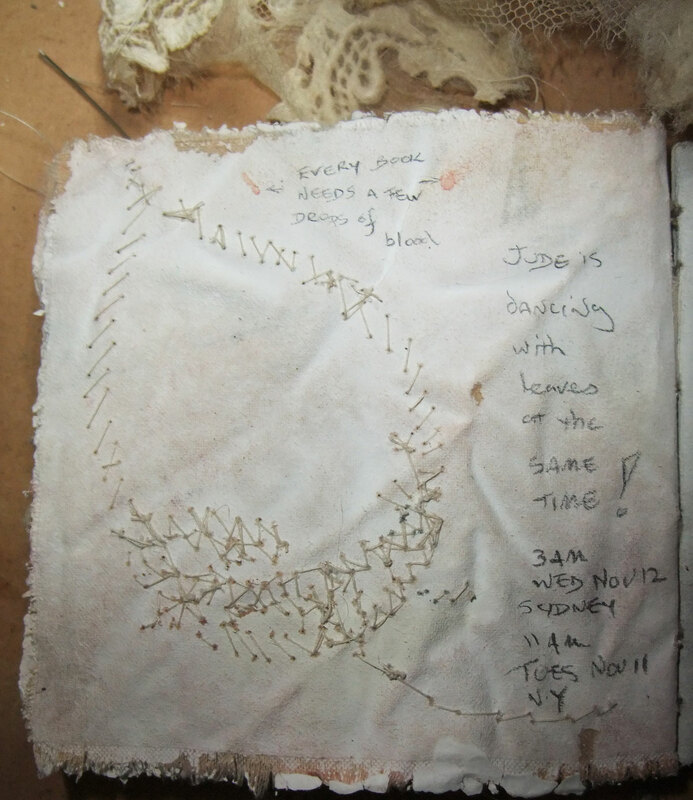 Hi Saskia, this post and the leaf evolved yesterday morning from 2am til just after sunrise when the dots happened! Hi Liz, do you mind putting up a link to your leaf weavings when they were still fresh & green & then dry to share with those of us who weren’t in Considering Weave? thanks Liz, love how the leaves turned to gold when they dried out! wow I love the lace on the leaf. Have you looked at Hannah Streefkerk’s work? She did the wrapped stones “to care for” at sculptures this year. I loved her work at Sculpture by the Sea and had looked at her website after visiting but had forgotten her mended leaves! 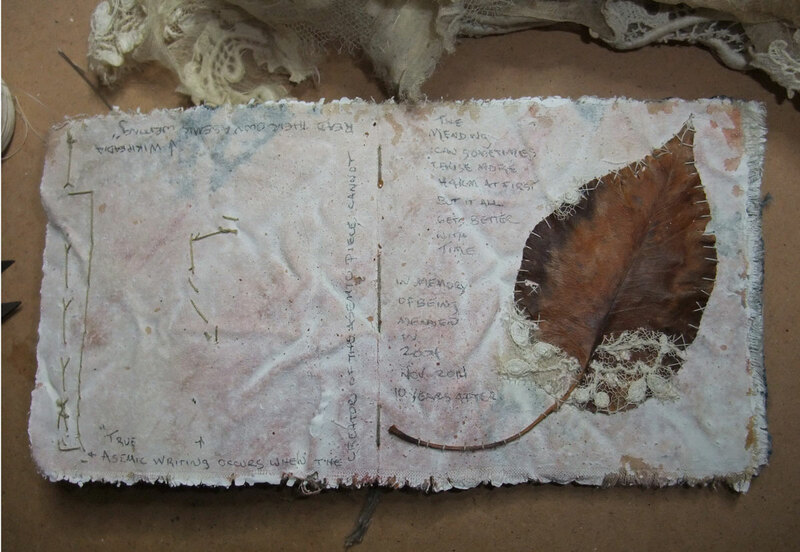 thanks for the link to Hannah Streefkerk’s sensitive work Jane! 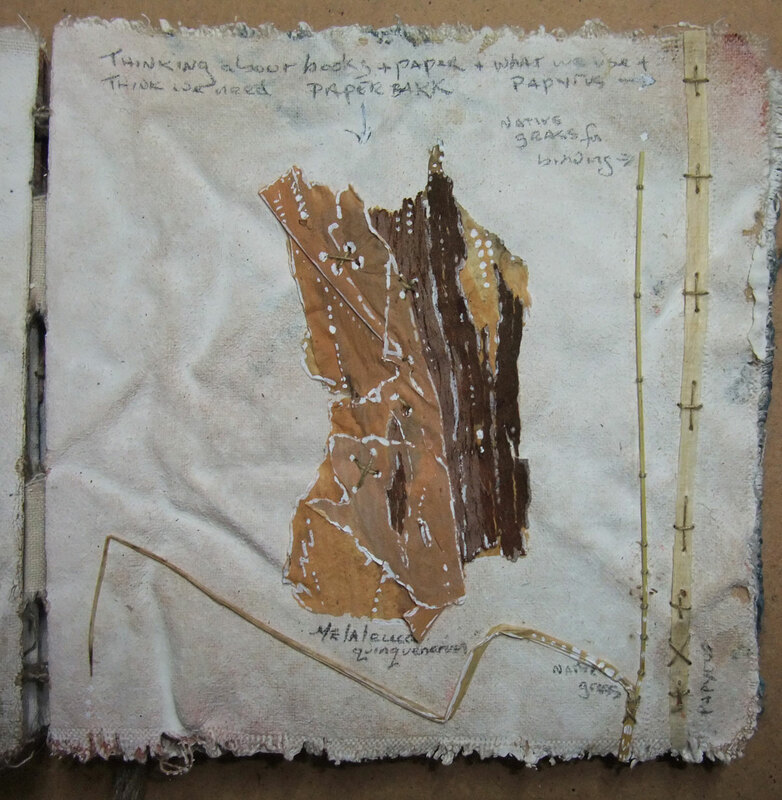 Oh and how could I forget Shona Wilson she doesn’t stitch these days but her sensitivity to the materials is a major inspiration! PS your earlier comment has moved down this thread as the post it was nested under looked like a spam so I deleted it ! it’s just a little warm up exercise to start each day Els, am really enjoying finding a place for all those little bits and pieces as they surface and then having the freedom to play with them! I love the suggestion of line made from the crisscross stitches to hold that leaf in place. 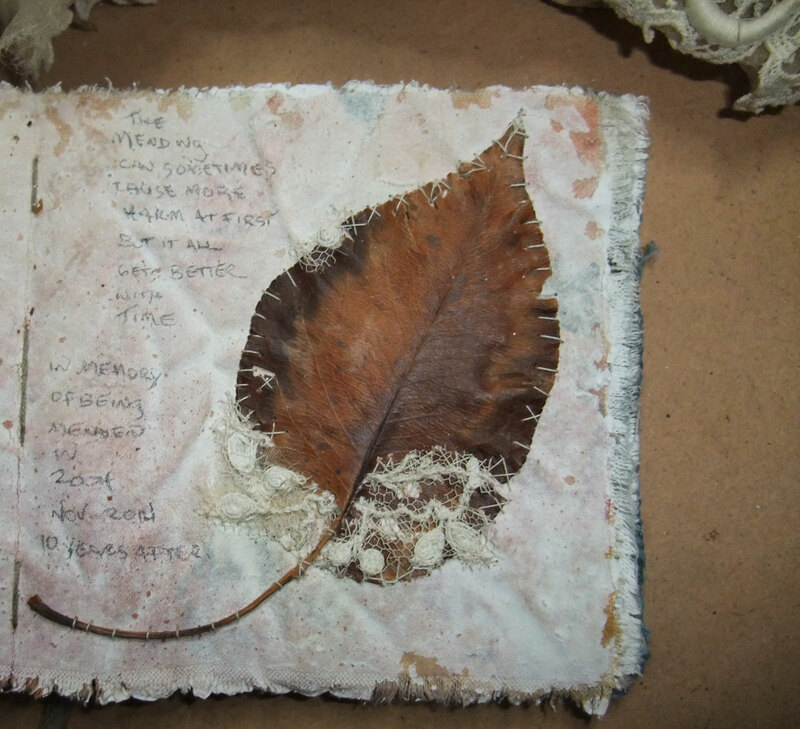 The pressed plants and stitching are lovely, Mo. The lace, stitches and dots meld so well with the leaf…its surprising but true. Each compounding mark brings the whole closer together. Thanks for all the links….you always suggest such interesting people. thanks for the good words Dana, this one surprised me! I really like this. So delicate and evocative. thanks for visiting & the good words Anita!